‘We create stunning design to grab your client’s attention and help your business grow faster.’ Website designing is something or art and aesthetics, something that is going to bring refreshed traffic. In order to keep safe from the different technical jargons and to get simple solutions w3infotek caters specific services to your needs. We have relevant experience and are able to provide impressive strata on clients and help them get motley of services that will bring them potential clients. At w3infotek we provide web-designing solutions to different industrial sectors starting from start-ups to the big brands, we are ready to offer open source customization in USA. 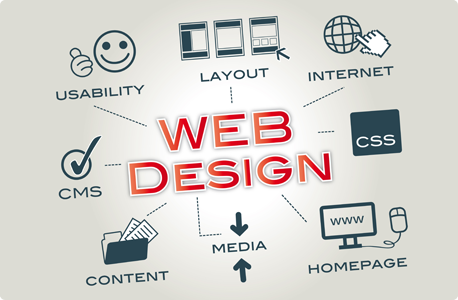 Our web designs are made at a competitive price that would let you stay ahead in the competition. We have been providing our clientele with different web solutions with our talented designers who possess capabilities such as - custom development in open sources as PHP, Joomla, Zend, Code Ignitor, WordPress, MySQL to name a few and we also use Microsoft technologies like ASP.net, VB.net, C#, MS SQL. At w3infotek, we make sure to provide best of facilities and achieve 100 percent customer satisfaction by creating unique and sleek designs. Be it a small business or a mid-size business, people requires sharp mind to understand the industry requirements. At w3infotek, you will get as your want. As at our hub, it is the goal to optimize your business online and improve its visibility. In order to attain leadership in website designing services we commit to put more focus upon innovation, quality, and value for money as well as talented designers.